Tech International affiliates provide Engineering, IT/GIS and Construction Management services to government and industry partners. Either through prime/sub-contract agreements or client staff augmentation, we integrate the best available technology and professional talent to meet our client objectives. We are dedicated to bringing your projects to fruition—on time and within budget. Green Infrastructure mimics natural landscape processes and has become important consideration in the planning, design and construction of Site, Building, Utility and Transportation projects especially in urban areas where storm water pollution caused by runoff from impervious surfaces and intermingling with sanitary flows are serious problems. 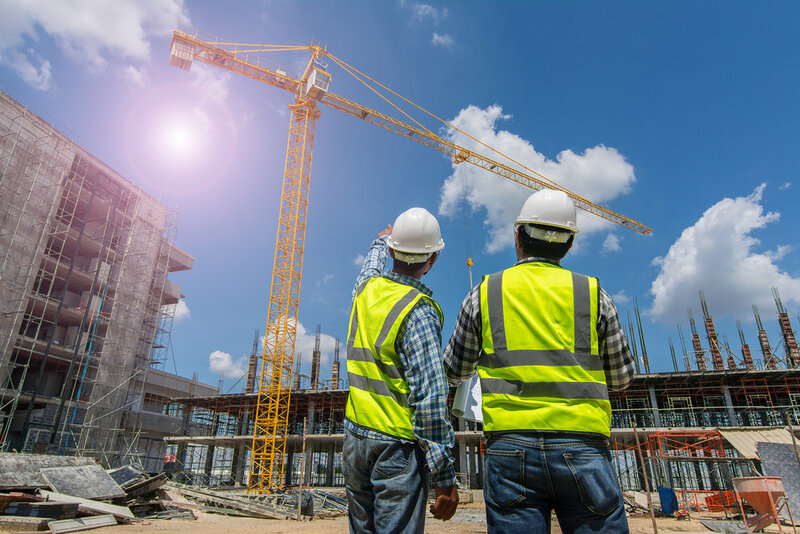 The business relationship in construction projects normally includes the owner, an A/E firm, design firm, the construction manager and the builder (construction contractor). As the construction manager we work with each of these parties according to project contract agreement. Each of our engagements has required us to apply skills in engineering, cost management, time management, meeting organization, good field and office record keeping, regulatory & environmental management and public safety measures. The importance and high value of water, energy and transportation systems require that their owners and operators have the data and mapping they need to maintain and manage these critical assets of our economy. Throughout a system’s life cycle starting from conceptual and planning stages through acquisition, operation, maintenance to asset retirement and replacement, management needs accurate integrated data to enable good decision making at each stage. Averaging over 20 years of experience, our personnel are well qualified and trained in the sciences including engineering and related technical fields. We hold professional licenses and certifications maintained through continuing education credits in our respective areas of practice. Our personnel are dedicated and have continuously distinguished themselves through exemplary performance in demanding assignments. The professional capability of each member of our project team determines the quality of our work. We take great care in selecting them and can attest to their professional credentials, the quality of their previous experience and commitment to each project. We hold professional engineering licenses and certifications in LEED and NASSCO. Eugene Amobi is a licensed Professional Engineer in the States of Maryland, Delaware and Pennsylvania. Mr. Amobi previously worked as Senior Engineer for E.I. DuPont Co. on Energy and Environmental projects; and served as Managing Director for Stanley Consultants Inc. Now Mr. Amobi leads the dynamic team of Tech International in its various practice areas. Eugene Amobi holds the MS Degree in Civil Engineering from Princeton University and MBA Degree from Syracuse University. With over 20 years in design and construction management of engineering projects, Mr. Sykes has served clients throughout the Mid-Atlantic region. The projects have included transportation, pipeline design and rehabilitation, coordination of mechanical and electrical work, and the preparation of construction and bid documents. He holds a BS Degree in Civil and Construction Engineering from Temple University and Professional Engineer licenses in the States of Maryland, Delaware and Pennsylvania. MDOT SHA, DelDOT and City of Wilmington. An equal opportunity employer offering opportunities within a fast-paced work environment; career development possibilities; competitive salary and fringe benefits package. Positions described reflect the general duties and responsibility considered necessary for the job. It is not a complete description of all work requirements of the position. Positions location are in the DC and Maryland Area. Seeking qualified and experienced construction managers in: horizontal and vertical sectors covering underground utilities including pipelines; buildings and transportation. Performs professional database maintenance and system analysis for client’s GIS. This includes the use of automated mapping products coupled with training, supervision, coordination and quality control of others in the operation and use of the GIS hardware and software applications. ©2018 Tech International & Tech DC. ALL RIGHTS RESERVED.